On the surface, Alsop’s utopian thinking looked to pay allegiance to a linear city concept first developed by Arturo Soria y Mata in Spain during the 19th century. Soria’s city created a core infrastructure to enable a process of expansion that merged one growing city node to the next over time. This was the core thinking behind Coast-to-Coast, with its thread of transport and rural parks running through. No single city along this route should dominate any other though believed Alsop: “what we are after is a chain of singularly extraordinary points all the way from the Mersey to the Humber”. As such, he saw Coast-to-Coast as being one big landscape of different characters, events and activity. Each city offered a different experience: “A Friday night out in Liverpool; A Sunday afternoon in Bradford; A Wednesday in Hull” he imagined idly. Remarkably, his ideology was also backed up by a string of actual commissioned feasibilities over a 7-year golden period in the north which resulted in ambitious proposals spanning across the Pennines. These ranged widely from a Liverpool 4th Grace (2002, aka ‘The Cloud’ & ‘Diamond Knuckleduster’); to a Manchester residential block (2009, aka ‘Chips’); a Halifax Piece Hall development (2003, aka ‘The Silo’); the Barnsley Masterplan (2002, aka ‘Barnsley Halo’ & ‘Tuscan Hill Town’); and finally Bradford Masterplan (2003, including the ‘Mirrorpool’ aka ‘Puddle in the Park’). With the exception of the small portion of Chips wrapped-up for Urban Splash, the only other northern project of his to move forward to close realisation was the pale imitation of his Bradford Masterplan – and at realisation, even this was without Alsop at the helm. Tempering these northern expectations however, December 2018 also saw publication of the annual report from the UK ‘Progressive Think Tank’, the Institute for Public Policy Research (IPPR). Called the ‘State of the North 2018: Reprioritising the Northern Powerhouse’. In this, the northern focus is seen as being both a simultaneous threat and opportunity: The uncertainty is brought on in part by the economic spectre of Brexit, but also set against the paradox of a hope for an end to government austerity measures, whilst considering that the next global downturn is being forecast as both inevitable and imminent. On top of this (if that wasn’t enough), are increasing impacts due to globalisation, climate change, artificial intelligence, automation and an ageing population. A real test to the North’s steadfastness and innovation was identified by IPPR, albeit one that the North could be up for - if only given a fair opportunity and a shift of emphasis to help enable it better. A ‘clear break’ from the original vision for the Northern Powerhouse was called for. 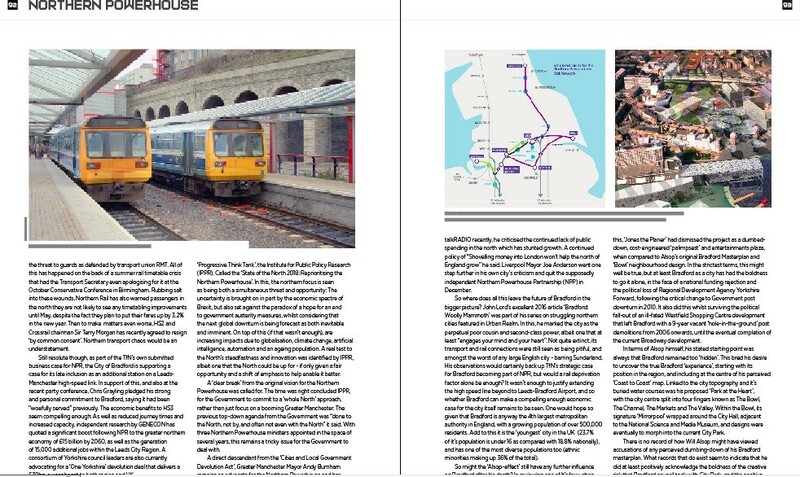 The time was right concluded IPPR, for the Government to commit to a ‘whole North’ approach, rather than just focus on a booming Greater Manchester. The previous top-down agenda from the Government was “done to the North, not by, and often not even with the North” it said. With three Northern Powerhouse ministers appointed in the space of several years, this remains a tricky issue for the Government to deal with. 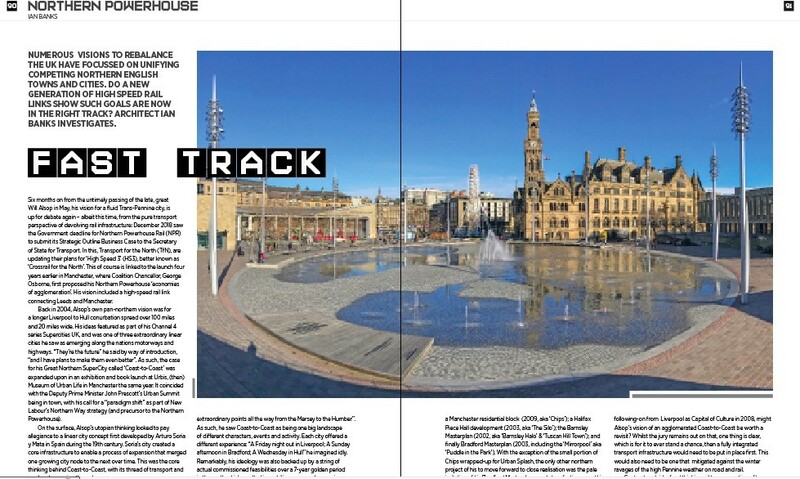 So where does all this leave the future of Bradford in the bigger picture? 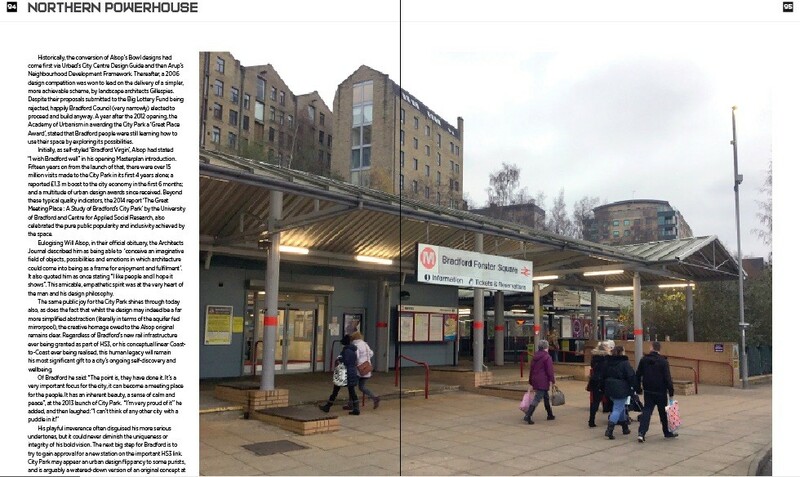 John Lord’s excellent 2016 article ‘Bradford: Woolly Mammoth’ was part of his series on struggling northern cities featured in Urban Realm. In this, he marked the city as the perpetual poor cousin and second-class power, albeit one that at least “engages your mind and your heart”. 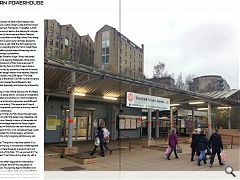 Not quite extinct, its transport and rail connections were still seen as being pitiful, and amongst the worst of any large English city - barring Sunderland. His observations would certainly back up TfN’s strategic case for Bradford becoming part of NPR, but would a rail deprivation factor alone be enough? 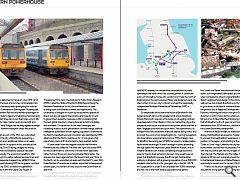 It wasn’t enough to justify extending the high speed line beyond to Leeds-Bradford Airport, and so whether Bradford can make a compelling enough economic case for the city itself remains to be seen. One would hope so given that Bradford is anyway the 4th largest metropolitan authority in England, with a growing population of over 500,000 residents. Add to this it is the ‘youngest’ city in the UK (23.7% of it’s population is under 16 as compared with 18.8% nationally), and has one of the most diverse populations too (ethnic minorities making up 36% of the total). Historically, the conversion of Alsop’s Bowl designs had come first via Urbed’s City Centre Design Guide and then Arup’s Neighbourhood Development Framework. Thereafter, a 2006 design competition was won to lead on the delivery of a simpler, more achievable scheme, by landscape architects Gillespies. Despite their proposals submitted to the Big Lottery Fund being rejected, happily Bradford Council (very narrowly) elected to proceed and build anyway. 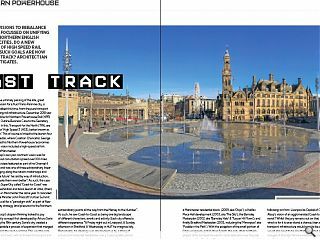 A year after the 2012 opening, the Academy of Urbanism in awarding the City Park a ‘Great Place Award’, stated that Bradford people were still learning how to use their space by exploring its possibilities.